Closed on Mondays, Songkran festivals and new year holidays. Everyone wish for a perfect development for their children, to see them grow intelligently and intuitively. We never cease to wonder in what way we can raise our children to be what we hope for. Do you know that learning music will stimulate the genius in your child? While there are many types of music, the music suitable for children should contain systematic arrangements of rhythm, melodies and harmony which, will improve logical thinking, even for prenatal babies. The parents can introduce music to children as early as 5 months in utero, whereas the sonic vibrations of music will hasten the development of the part of the nervous system related to hearing. Why classical music education is the most suitable for child development? 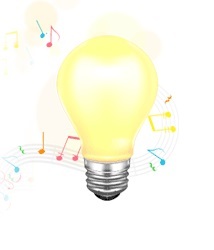 Numerous researches show: classical music positively affects brain cells involved in spatial intelligence, an ability to connect thoughts through shapes and textures which will, in turn, improve mathematical and logical abilities. Children under 7 in constant musical training and education are found perform better at relating thought concepts, mathematics, sciences and languages compared to children without musical education. Thus, music education is one of the key elements to develop a child's ingenuity and with proper monitoring and constructive learning stimuli, music will enhance child development significantly. Pianoforte the School of music is founded on the ideals of excellence in music education and a friendly atmosphere suitable for each individual's development. Pianoforte's teachers receive constant, rigorous training courses to improve the ability to educate children, all for the sake of the quality of the education and to be one of the most distinguished music schools of the present. Pianoforte continuously give the teachers training courses to introduce them to updated musical knowledge and teaching methods for the latest music courses, and also the most fundamental element: better musical performance skills. Constant support ensures that each of Pianoforte's teachers are teaching at maximum efficiency as they also receive education from the best professional musicians and music instructors of their own fields. Pianoforte also thoroughly audition each teacher before providing your child with our carefully selected educator. "Discover the genius in your child with institutionally-certified teachers"
Examination is one the most important element in education as to inform the parents of the success and improvements of your children. In classical and popular music coursed, Pianoforte provides institutional instructors from abroad to give examinations and evaluations. Students are also required to give a public performance at Pianoforte's recitals at least once a year. Pianoforte the School of Music provides and encourages students to take examinations from acclaimed international institutions such as Trinity College London / Trinity Rock School and London School of Music, University of West London. Pianoforte will be your intermediary to care for your registration and examinations, according to students' and parents' own decisions. 1. Music for little Mozart (MLM): Piano basics for early children Music for little Mozart will provide simple and fun learning for children with games and activities including books, musical note flashcards, audio CD and various animal puppets. 2. The Little Violinist: Violin basics for early children The Little Violinist will introduce children to the violin, starting from the instrument, itself and proper ways of handling and bowing, sitting and standing stances for playing a violin, fingerings and playing various simple tunes selected for children.